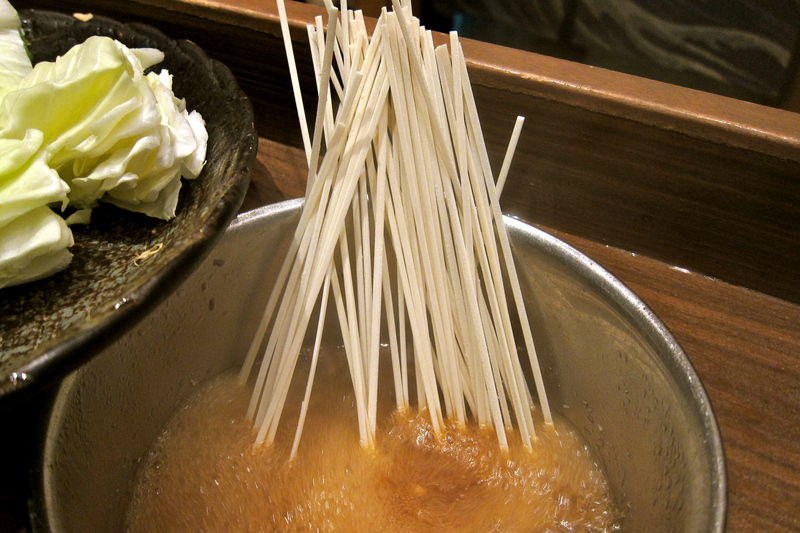 ← Cooking the books: Super Easy Yakitori at home! It’s starting to get HOT ‘n SUNNY, Hong Kong! Could this mean the first scorching Rugby 7’s weekend that we’ve seen in a few years (fingers crossed)? One can hope … still, you may have a week or two to sneak in some tummy-warming shabu shabu sessions before the real heat comes. We paid our first visit to Katte Shabu Shabu a couple of weekends ago with our foodie friends and sat at the 8 person counter table. Each setting is complete with your own electric hot plate which heats your individual hot pot – a nice touch! It was better to not have to share, and a smaller and shallower bowl means you can keep better track of what goes into your pot. We all started off with a chilled glass of Hitachino Nest White Ale, a superbly refreshing and surprisingly tasty beer with hints of orange! 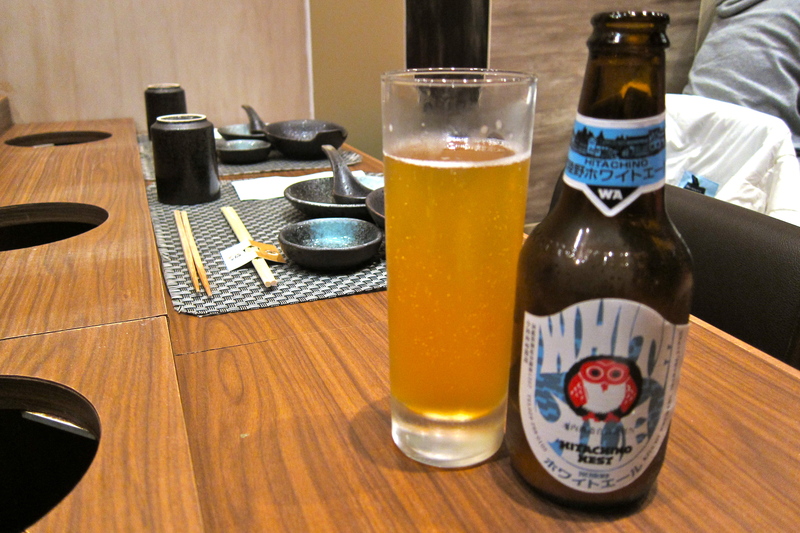 I’m not a huge beer drinker but am always up for a Japanese brew, as I find they tend to be more delicately flavoured. 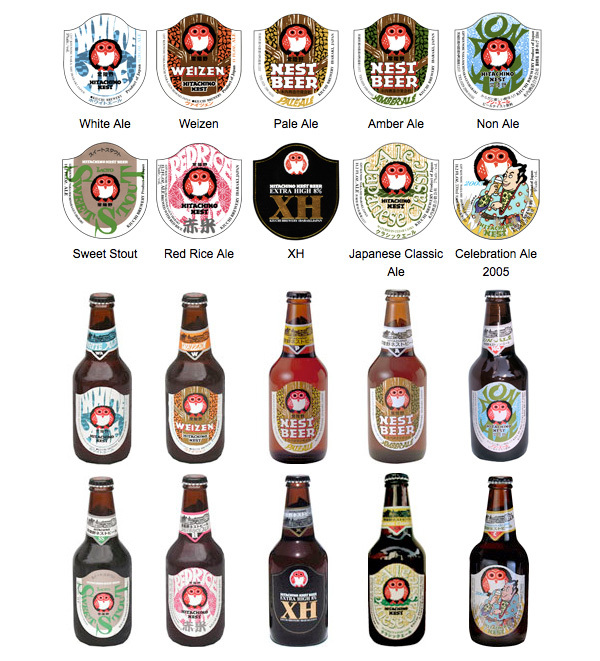 You can find the beers at several restaurants around town, and if you’re a real enthusiast, you can place an order with their Hong Kong distributor GoTech Limited, and have it delivered straight to your front door! All information is available on their very well designed (and dare I say cute) website. 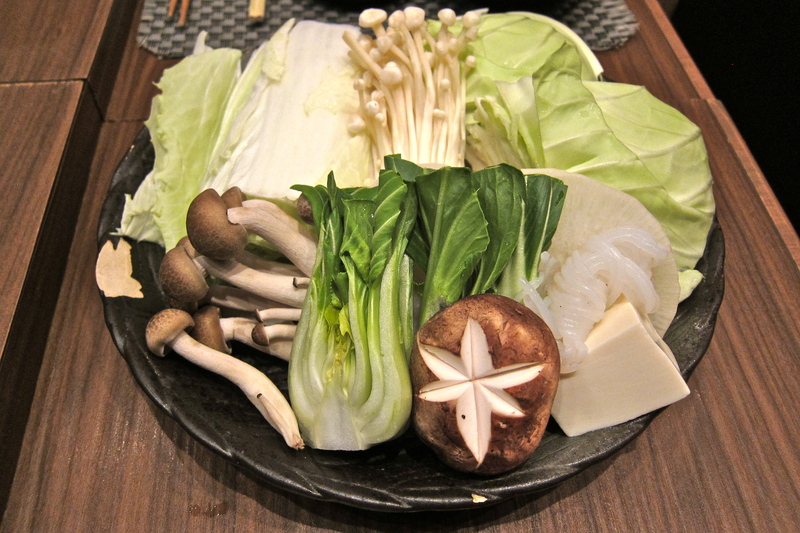 The menu is designed so that you order a Shabu Shabu Dinner Set each. 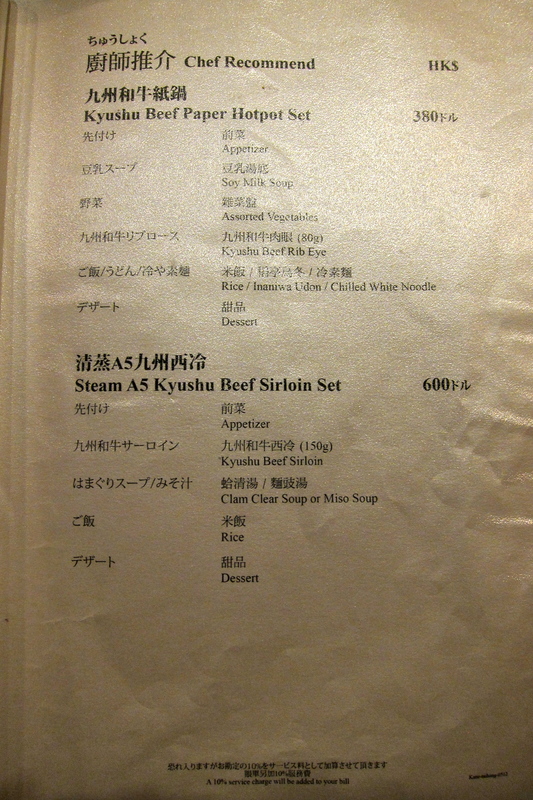 Some of us went for the Deluxe Set, which features A5 Kyushu Beef Sirloin/Ribeye in 80g (HK$380) or 150g (HK$600) portions. 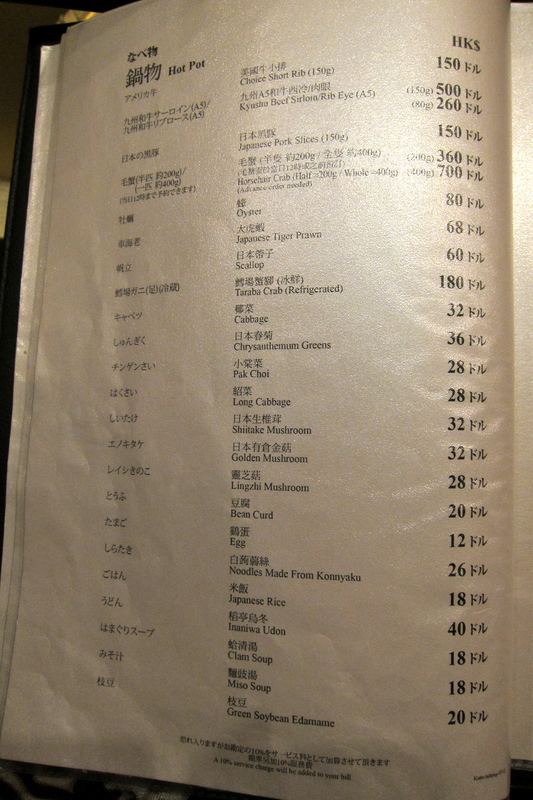 Others opted for the Seafood Set: oyster, prawn and 200g of horsehair crab for HK$480. 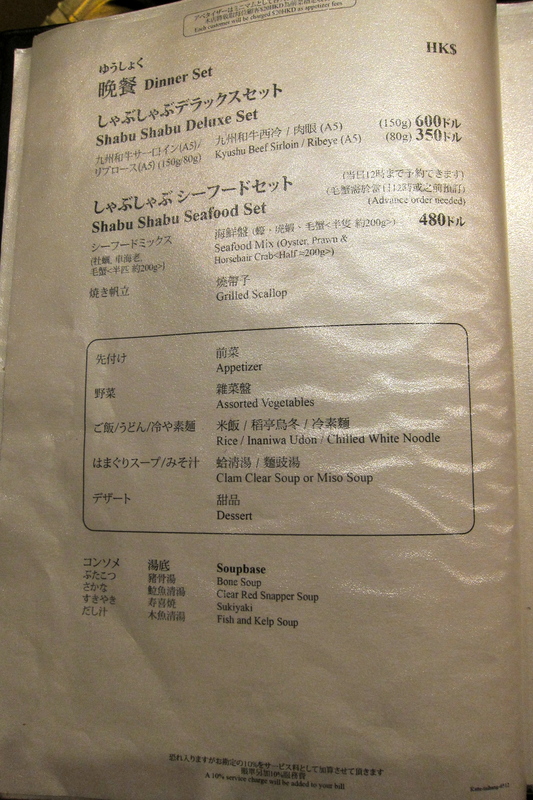 The menu states that the Seafood Set has to be ordered 12 hours in advance (!! ), but we didn’t have an issue. I unfortunately didn’t take a picture of it, but it was a very generous plate of quality fresh seafood, and each set comes with assorted raw vegetables, noodles, soup and a dessert. 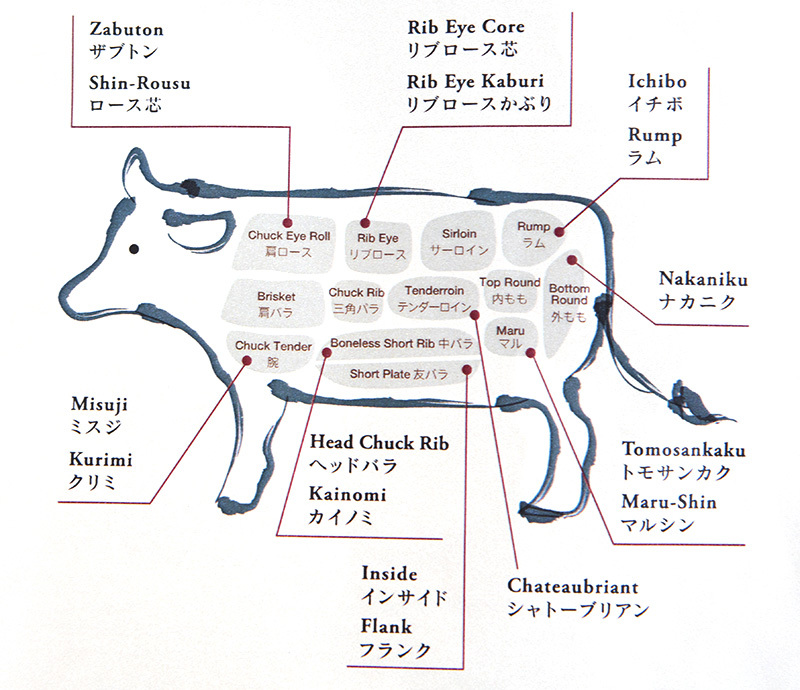 The Japanese take their beef very seriously such that some beef connoisseurs might even be able to differentiate the type of animal and the terroir which it was reared on! 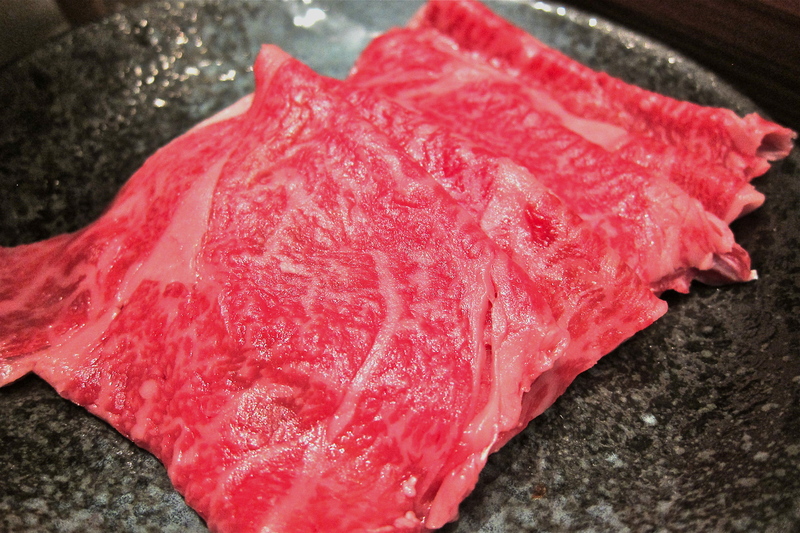 Let’s get our terminology straight here – the term ‘wagyu’ refers literally to ‘Japanese cows’. Within the wagyu umbrella are several breeds of cattle, which are often referred to in name by the prefecture that produced them. There are a few different types of cattle that are reared on the island of Kyushu, and it wasn’t specified which one we were eating at Katte. ‘A5’ refers to the Japanese Wagyu Beef Grading classification, A5 being the best standard of beef that you can get your hands on! The grading is determined by the yield grade A-C and quality (referring to marbling) grade 1-5 of the beef. Here’s more information if you’re interested! 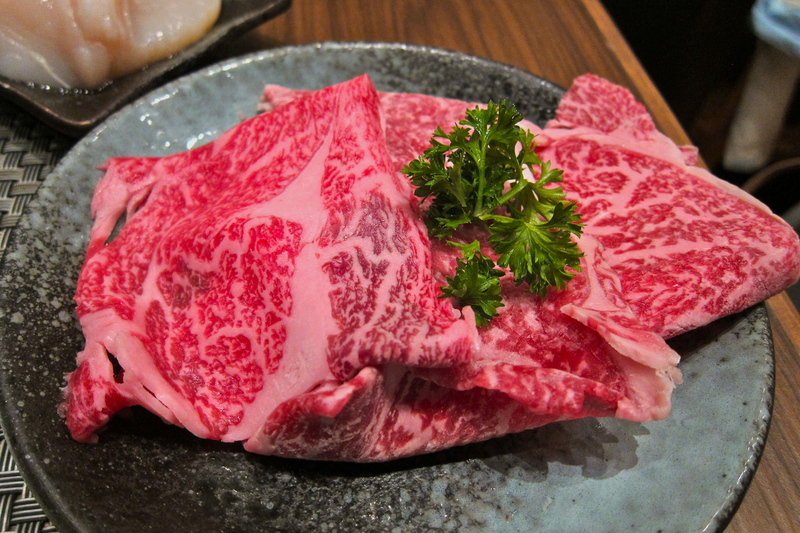 If you want to know more, Asia Tatler has written a great article about Wagyu Beef. A large portion of vegetables, making this quite a healthy meal! 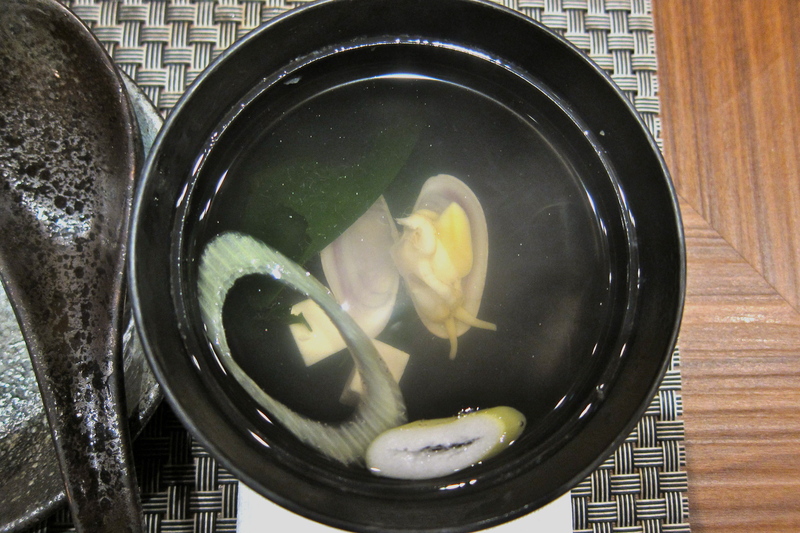 Some of us chose the Red Snapper broth, whilst others chose the Sukiyaki broth. The Red Snapper broth was milky white in colour and quite mild in taste in the beginning, but never have I drank so much broth at the end of my meal! Once we had our full and the dipping subsided, the broth had absorbed all the flavour of the veggies, beef and seafood such that it’s taste is so wonderful that you can’t stop dunking your spoon. The Sukiyaki broth was also surprisingly nice, not too sweet and actually preferable for dipping the pork slices and seafood. If two of you are dining together, I would suggest getting one of each broth and trying them both. The clam soup almost too delicately flavoured. It was a nice way to warm up the stomach before starting with the shabu shabu, but other than that, nothing to write home about. And giving you one clam is a bit stingy!! 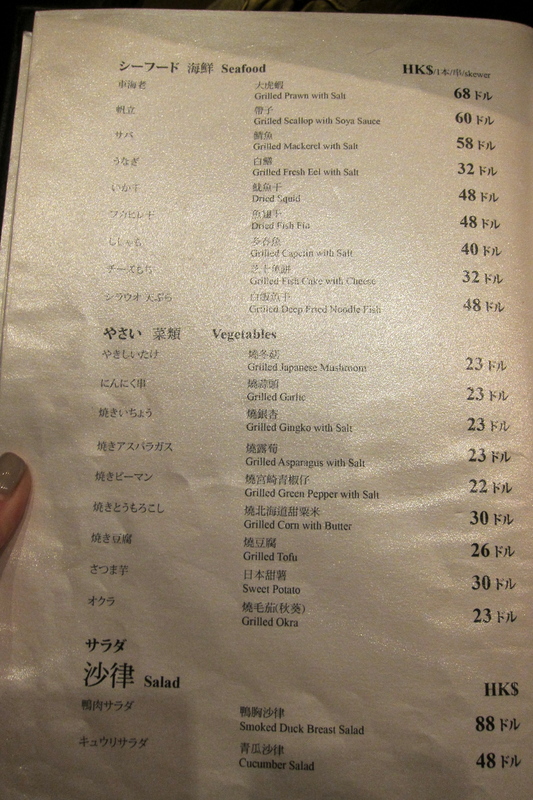 I didn’t want to be limited to just eating beef or seafood, so I decided to take the smaller beef set, and for the same price as the larger set, I ordered a selection of other things from the hot pot and kushiyaki menus. Having reviewed the photos afterwards, my beef looked much more marbled then the other beef – why the discrepancy I wonder? 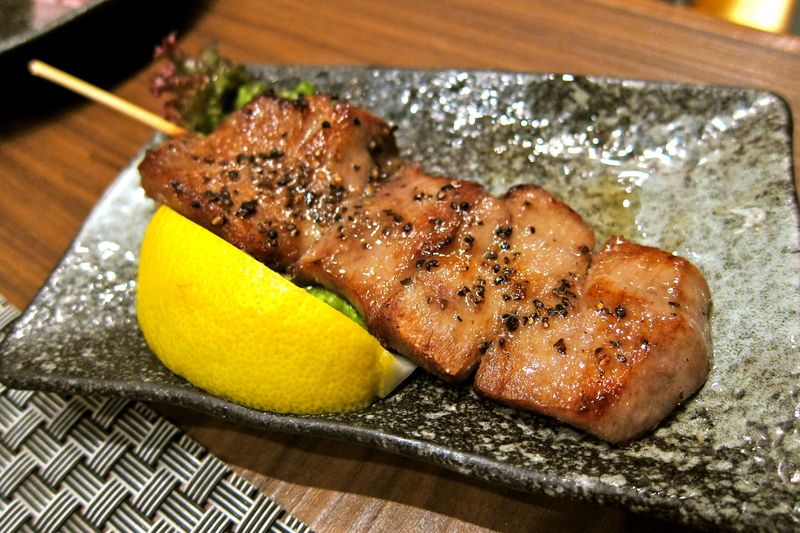 The Japanese pork slices were very flavourful and although a bit chewy, they were excellent dipped in the Sukiyaki broth! These scallops are humongous! 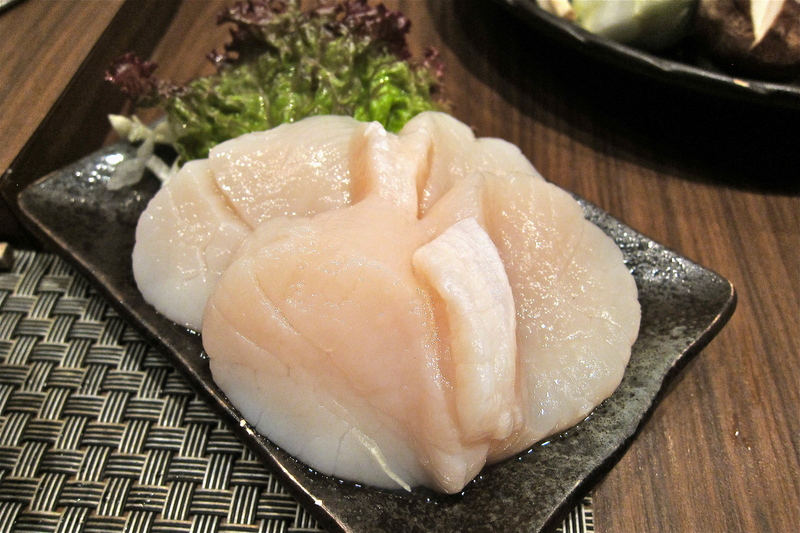 I feel that scallops really shine the most when they are grilled, and it was almost a waste to dip them in a hot pot. 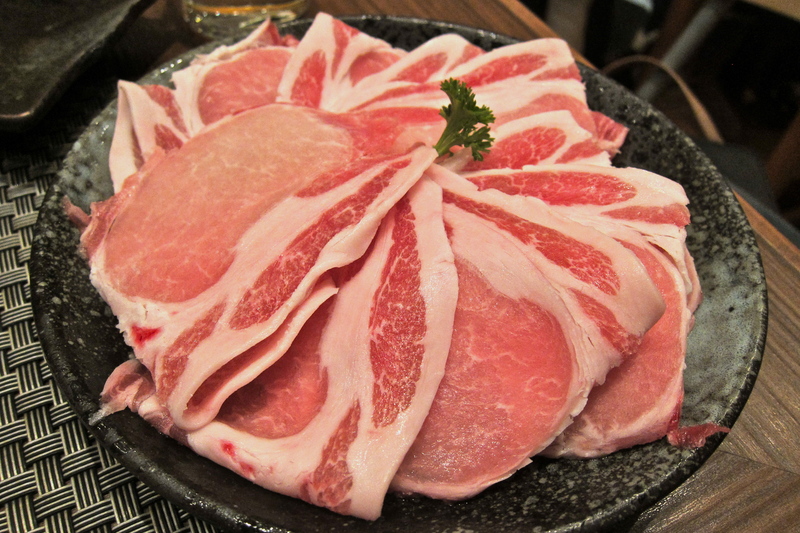 Nevertheless, they were nice and meaty, and a generous portion for $60. The Ox Tongue was really well seasoned and whilst one or two of the pieces were a bit chewy, the rest was nice and tender and definitely up there as one of the better Ox Tongue kushiyaki that I have tried. Definitely better than the ones at Kushiyaki Beco, though not as amazing as the ones at 3 Monkeys. 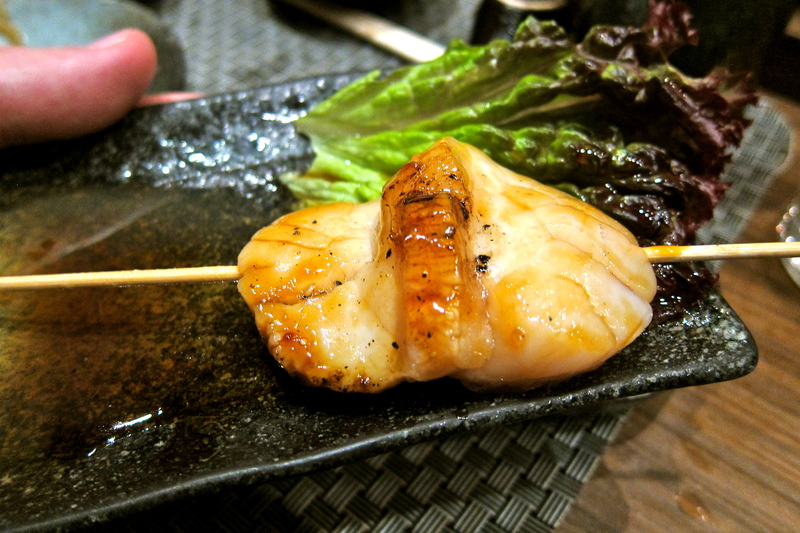 The Seafood Set comes with one grilled scallop skewer. Although they were the same huge scallops as those on the hot pot menu, the marinade is not flavourful enough. Not a winner in my book. 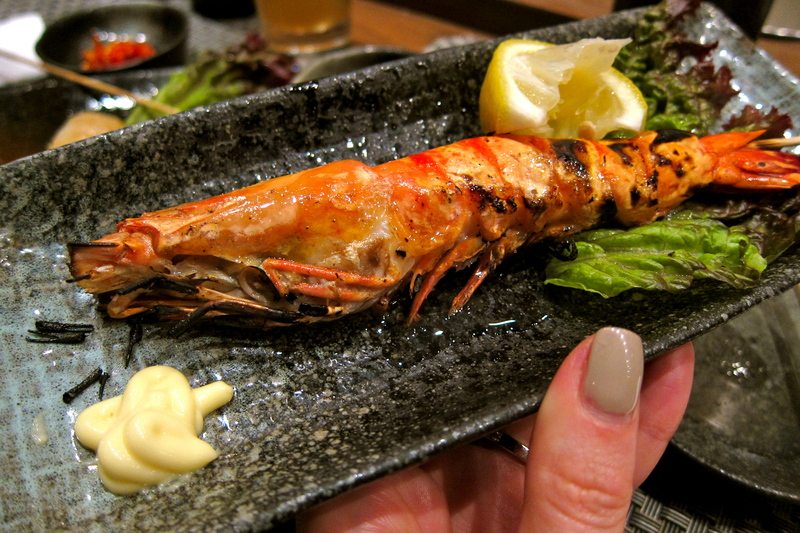 The Tiger Prawn was a bit chilly by the time I got to it, so I can’t say that I can give it justice by commenting on it. It does look good though, doesn’t it? Service is a bit choppy at Katte. Our waiter seemed a bit spacey, and wasn’t on top of filling our tea cups, understanding our order (but that is probably just down to his level of English, which is forgivable), and forgot to give us the noodles/rice that were supposed to come with our dinner sets. Only after we had finished dipping most of the meat and veggies did we realise that we hadn’t had any noodles, and when we asked the waiter, he says “Oh, you want the noodles?” Well of course we bloody want the noodles! 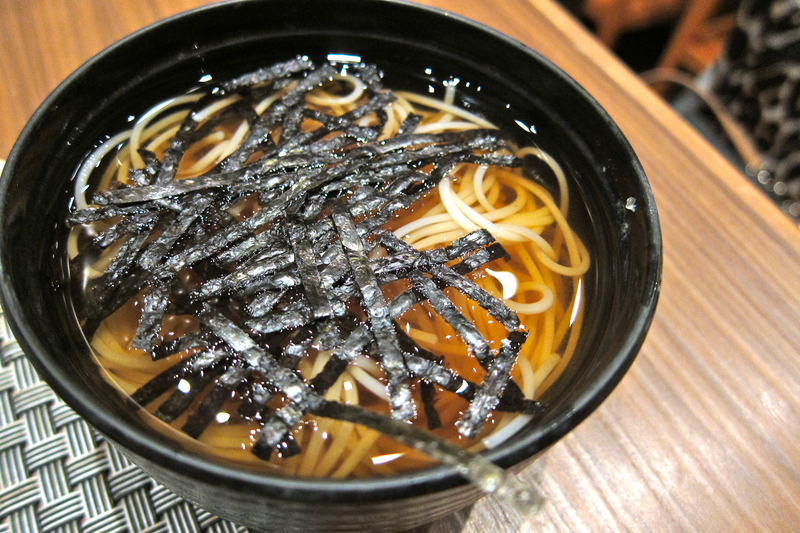 I really enjoyed the chilled noodles, so I’m glad we remembered them! Served in a cool sweet sauce, I loved the chewiness of those noodles, and enjoyed slurping them up. For dipping sauces, you are given sesame sauce and a yuzu/soya sauce, but if you ask they will also give you this amazing chili sauce. 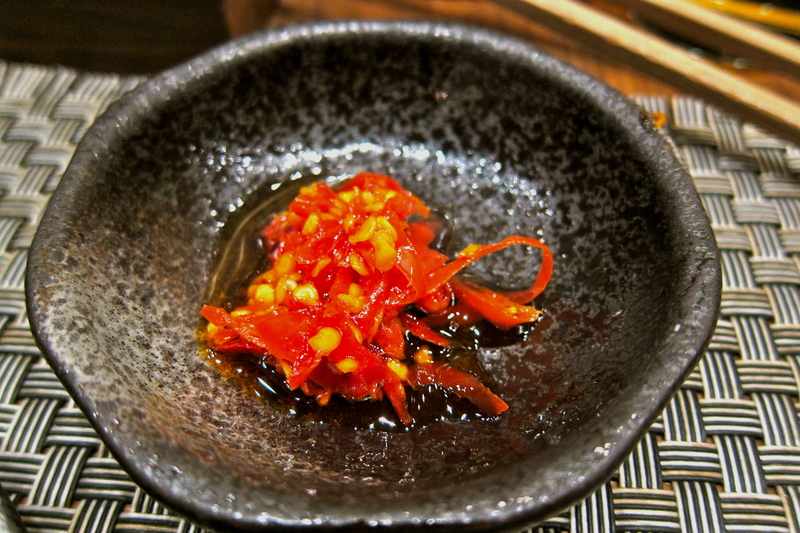 It’s quite spicy if you eat it seeds and all, but the taste is quite savory and it packs a warming heat. Chili Sauce test APPROVED! 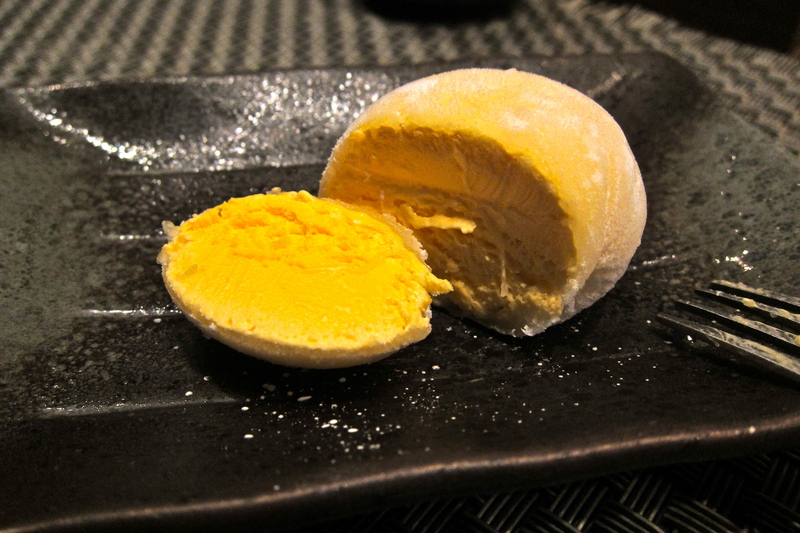 What a way to end the meal – these mochi balls were amazeballs! 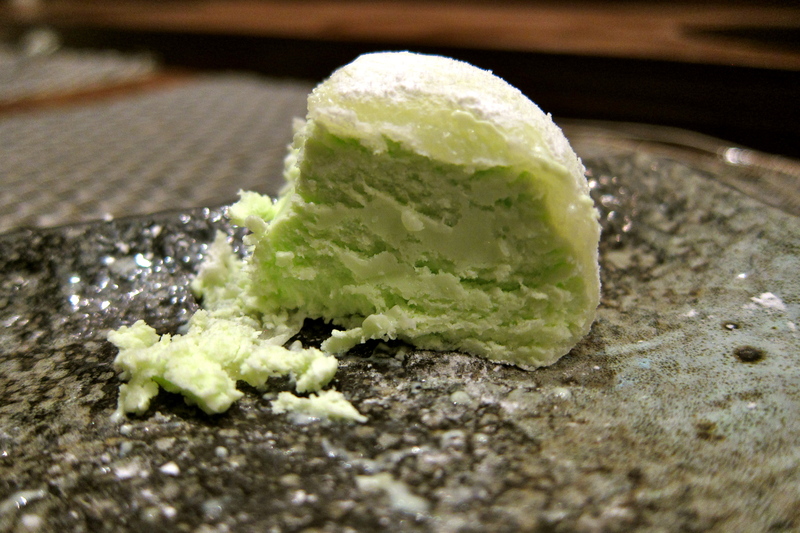 The not-too-sweet ice cream encased in a chewy glutinous mochi wrapping was so good, we asked for more! The meal came to around HK$700 per person, which to be honest was to be expected, considering that each of the Dinner Sets was at HK$480 – $600 to start off with, with the 12 bottles of beer and all of our extra orders on top of that. 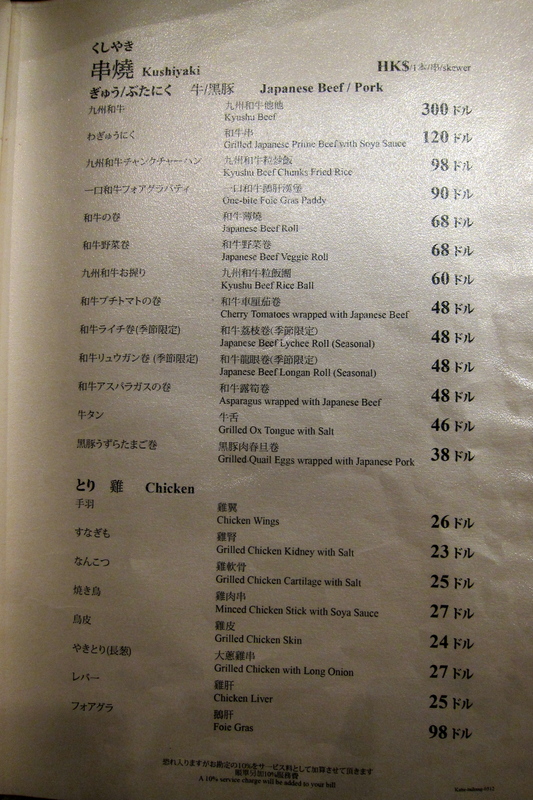 However, we took a look at the lunch menu when we left the restaurant, which was displayed by the entrance, and were surprised to find that the Lunch Sets are similar, but less than half the price! After seeing that, you start to feel that they are over-charging with the dinner sets – perhaps the portioning is different? In the name of research, I’ll go for lunch and report back to you! There is also another branch of Katte Shabu Shabu in Causeway Bay, and the same owners are behind Kanizen in Wan Chai, specialising in all things crab! The author clearly does not know how to distinguish between A5 or A3 wagyu beef, but then again, what fully grown non-virgin food geek actually does (Steingarten aside)?! Kidding aside, thanks for providing some great photo shots and reviews. Always informative and I love to learn new things. Keep up the great posts! Thanks for reading AND for commenting Jeff, you made my day! Hope to see you in the comment section more with your Steingarten-esk appreciation for food!